It’s been a month since Panini America released the wildly successful 2014 Dragon Ball Z Trading Card Game, an epic relaunch of the popular TCG that has received rave reviews and intense levels of participation in shops across North America. In the weeks since that historic revival, DBZ gamers new and old have returned to the game in a huge way, creating packed houses and renewed excitement with a series of in-store tournaments. It’s been a glorious week on the Dragon Ball Z front as Panini America’s triumphant reintroduction of the popular Trading Card Game has been met with rave reviews and passionate participation from all over North America. Today, we’re bringing you another batch of must-see images, including all of the preview images that we provided to our partner sites (at DBZ Top Tier, DBZ Fanatics, Retro DBZ and the Panini DBZ Facebook News Page), San Diego Comic-Con Promo Card images and more. But before we get to the images, our very own Aik Tongtharadol has provided an all-new FAQ document that addresses many of the questions that have come up in this first week of release. Enjoy and stay tuned to the Official Blog of Panini America Dragon Ball Z for additional coverage. The big day has arrived. 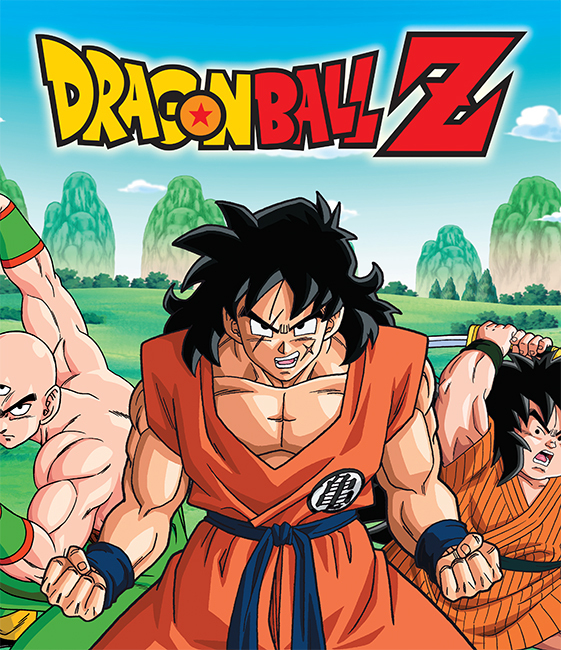 Finally, Panini America’s 2014 Dragon Ball Z Trading Card Game is live. The triumphant return of the iconic TCG brings with it immense excitement and anticipation. Today, we’re here to fuel that excitement with a gallery that takes you pack-by-pack through one 24-pack Booster Box. We’ll follow up next week with a comprehensive video starring game creator Aik Tongtharadol to discuss some of the highlights from the first full weekend of release. In fact, it was Tongtharadol and our development team who fashioned a must-read list of release-day FAQs to help veterans and newcomers alike. So we’ll lead with that. Stick around after reading the FAQs for the pack-by-pack gallery. When it comes to previewing Panini America’s highly anticipated 2014 Dragon Ball Z Trading Card Game, we’ve shown you the Commons. We’ve shown you the Uncommons. Today, though, we’re bringing you a thorough preview of Rares and Ultra Rares included in the triumphant return of the Dragon Ball Z TCG, out everywhere tomorrow. The four Ultra Rares shown in the gallery below have yet to be revealed. Many Rares have been previewed on our partner sites at DBZ Top Tier, DBZ Fanatics, Retro DBZ and the Panini DBZ Facebook News Page — the others are shown below for the first time. 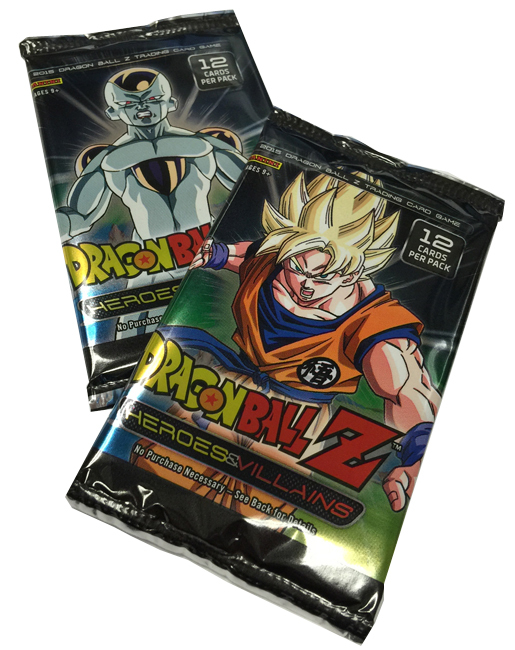 The long-awaited release day tomorrow promises to be a busy one here on the Official Blog of Panini America Dragon Ball Z as we’ll provide an insightful Dragon Ball Z FAQ post and a must-see gallery that takes you pack by pack through one 24-pack Booster Box. Until then, though, enjoy the Rares and Ultra Rares that follow. On the heels of yesterday’s revealing look at the Prizm and Common cards coming to Friday’s release of the 2014 Dragon Ball Z Trading Card Game comes today’s preview of the set’s Uncommon cards. In the gallery below, we showcase 37 as-yet-unseen Uncommons from the set. You can check the previously released Uncommons from our partner sites at DBZ Top Tier, DBZ Fanatics, Retro DBZ and the Panini DBZ Facebook News Page. Uncommons will be randomly inserted at a rate of four per Booster Pack; Commons will fall roughly six to seven cards per Booster Pack. Check out the gallery below and stay tuned to Panini America’s Official Dragon Ball Z Blog for a must-see preview of the set’s Rare cards. We’ve spent the better part of the last month here on the official blog of the Panini America Dragon Ball Z Trading Card Game providing exclusive glimpses of the set in advance of Friday’s highly anticipated release date. But now that release week is finally here, we’re about to ramp up our previewing efforts. Today, we’re giving you the world-premiere first look at the set’s Prizm cards and the Common cards that you haven’t seen yet either here or on one of our partner sites. Panini America’s Optichrome Prizm technology has taken the sports card world by storm in the last three years, but they’ve never before appeared in a Dragon Ball Z release — until now. Beginning Friday, the Prizm technology will begin gripping the gaming crowd in a big way. One look at the images below and you’ll understand why. Each Starter Deck of the 2014 Dragon Ball Z TCG will include five base Prizm cards and one Prizm Rainbow parallel. Editor’s Note: The following transition guide was written by Richie Williams, an external playtester for Panini America’s 2014 Dragon Ball Z Trading Card Game and the author of the game’s official rulebook. When Panini America’s Dragon Ball Z Trading Card Game hits stores on October 17, many of you will be experiencing it for the first time. I hope your fresh perspectives bring some new innovations and excitement to the environment. Others of you, however, are coming in as former players of the DBZ CCG. What’s new? What’s the same? This article will detail the changes to the game and get you ready to go on day one. Hot on the heels of last week’s world premiere reveal of the first three Demo Decks and 75 card images from Panini America’s upcoming 2014 Dragon Ball Z Trading Card Game, company officials on Tuesday afternoon provided a new installment to keep enthusiasts busy between now and when the game releases on October 17. Today, the company released Demo Decks featuring Orange Goku, Namekian Piccolo and Black Krillin. Those three decks can be accessed as printable PDFs using the links below. Accompanying today’s Demo Deck releases are must-see images featuring all 75 cards comprising the three respective decks. Panini America will release additional card previews in the coming weeks here on Panini America Dragon Ball Z; fans can also look for exclusive images to be previewed on partner sites Retro DBZ, DBZ Top Tier and DBZ Fanatics. Until then, check out the new Demo Decks and card previews after the jump.